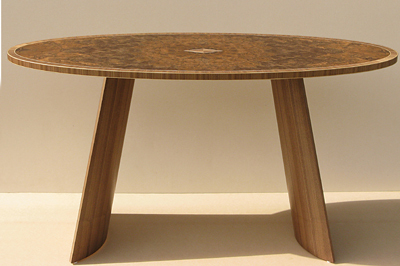 Mark is a maker who works closely with his clients to ensure they always come away with something special. 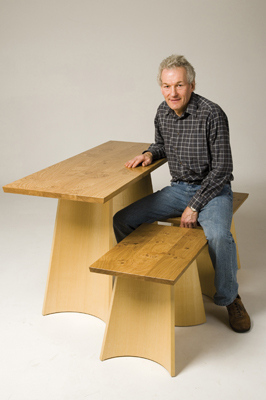 He works hard to ensure his commissions work harmoniously with their environments, whether in terms of the sustainability of the wood he uses or how they fit in with their surroundings. 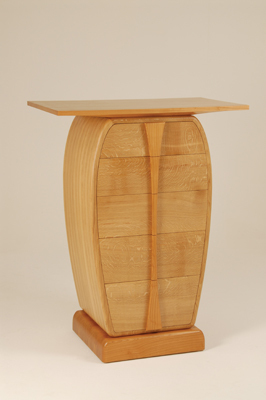 Mark Newson: I have just finished a jewellery box and am planning a speculative piece for an exhibition in November. MN: Redundancy. I was in retail banking for 25 years and could not face another office job. 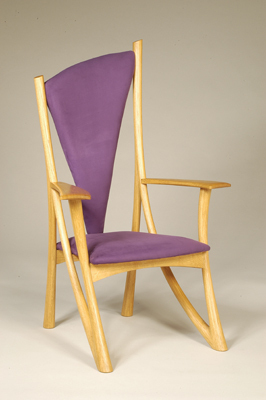 I had a good grounding from an inspirational teacher at school and with the support of my wife who trained as an industrial designer, I did a year's course at Rycotewood which gave me the confidence I needed to make it into a career. MN: It depends on the project; it could be something from nature or the built environment. Aiming to have a satisfied client at the end is always something to motivate you. MN: Classical, with a bit of an edge. MN: The fact that there is so much diversity. MN: I am not sure I have had a mentor but I did speak with Martin Grierson whom I admired before I started and worked with Ashley Cartwright and Rupert Williamson early in my career who were both very helpful. MN: I don't think so. Look at Festool's Domino system; there can't be many serious workshops without one. MN: I use galleries and exhibitions like Celebration of Craftsmanship and Design and local shows. MN: Reasonably. I take a pragmatic view; as a sole trader you take the work where you can get it. MN: It's much easier once I have a brief, then it's a case of sketches, drawings and sometimes models. MN: I suppose as a designer I should say an artist, but I do make the stuff as well so how about both? MN: I obviously have some plan as to what I want to do as I need it to cost the job, however, I often find that I end up doing it differently. MN: Assuming they have some training or can demonstrate they have the skill, to find a job in a specialised workshop or rent bench space in one, network with people in the business and sell yourself. MN: As a small fish in a big pond the extra cost incurred in buying timber is annoying.